Authors: Narbut N.P., Trotsuk I.V. 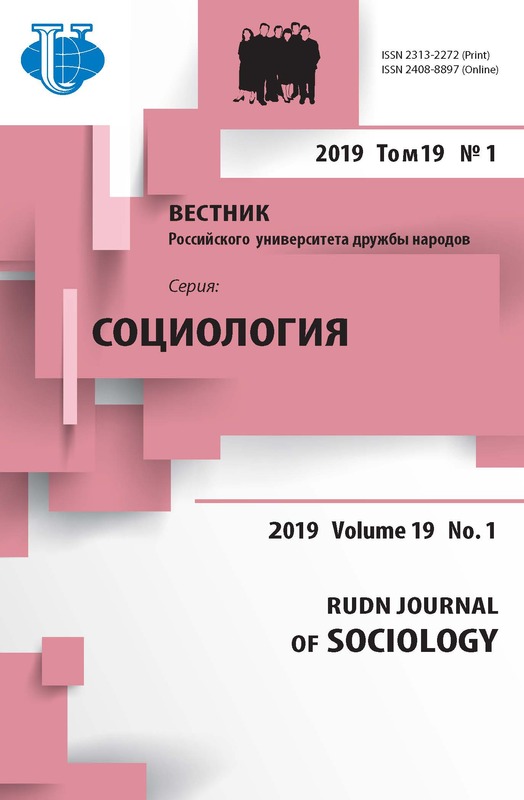 The article presents the results of a three-year study conducted by the Sociology Chair of the RUDN University in cooperation with foreign colleagues to compare the worldview priorities of the today’s student youth. Due to the article size limitations the authors divided the data into two parts: in the first part, they focus on the identification of the values that serve as reference points specifying the so-cial action limits and criteria for assessing events and situations. The data does not allow for broad gen-eralizations due to the non-equivalence of the questionnaires used in three countries, but points to a number of characteristics that make the Russian youth look more similar to their Czech or Kazakhstan peers than to themselves a decade ago. Such a conclusion is based on the analysis conducted according to the thematic structure of the questionnaire. Thus, the article presents the educational values of students (prag-matic-instrumental perception of the higher education), labor values (a mixture of optimism and pessimism when assessing chances to find a job after graduation, and different attitudes to the combination of study and work), interpersonal interaction features (a high credit of trust in parents, especially in a difficult situation, does not depend on the self-perception and the circle of personal responsibility), political values (the ratio of the lack of political activity and interest in politics, and the level of social trust differ despite the same leaders of national pride), general value priorities (attitudes towards religion, interpretations of the life success and qualities necessary for achieving it, the horizons of planning) and problems (assessing one’s genera-tion in terms of actual threats). students, youth, value orientations, fundamental life values, comparative analysis, survey questionnaire. Andreenkova A.V. Mezhstranovye sravnitelnye issledovanija v socialnyh naukah: metodologija, etapy razvitija, sovremennoe sostojanie [Cross-country comparative analysis in social sciences: Methodology, development, and the current state]. Mir Rossii. 2011: 3 (In Russ.). Geger A.E. Vyjavlenie individualnyh i gruppovyh tsennostej v gruppe molodezhi: relevantnye metodicheskie reshenija [Identification of personal and group values among the youth: Relevant methodological solutions]. Sociologicheskie Issledovanija. 2010: 1 (In Russ.). Emeljanenko T.V. Metody mezhkulturnyh issledovanij tsennostej [Methods of cross-cultural study of values]. Sociologija: 4M. 1997: 9 (In Russ.). Inglehart R. Postmodern: menjajushhiesja tsennosti i izmenjajushhiesja obshhestva [Postmodern: Changing values and changing societies]. Politicheskie Issledovanija. 1997: 4 (In Russ.). Rudnev M.G. 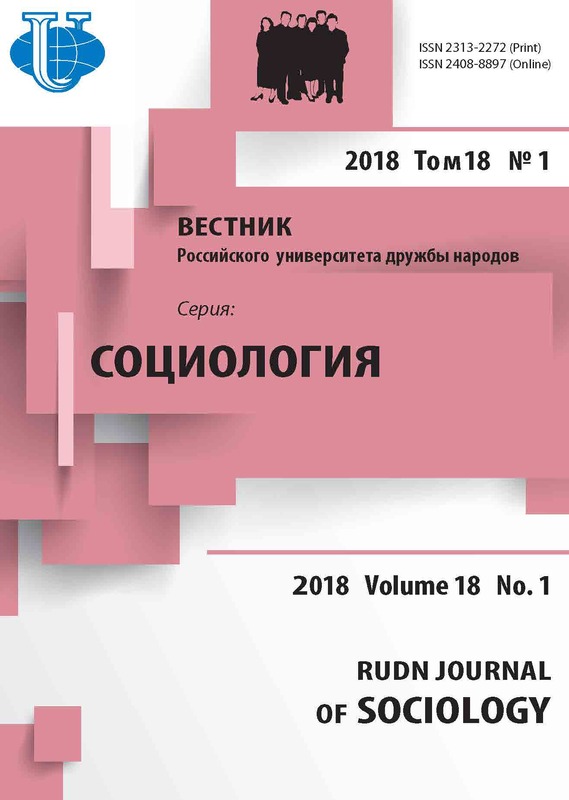 Invariantnost izmerenija bazovyh tsennostej po metodike Schwartza sredi russkojazychnogo naselenija chetyreh stran [The invariant measurement of the basic values of the Russian-speaking population of four countries based on the Schwartz method]. Sociologija: 4M. 2013: 37 (In Russ.). Samoreguljatsija i prognozirovanie socialnogo povedenija lichnosti: Dispozitsionnaja kontsepcija [Self-Regulation and Prediction of Person’s Social Behavior: Dispositional Theory]. Moscow; 2013 (In Russ.). Davidov E., Meuleman B., Cieciuch J., Schmidt P., Billiet J. Measurement equivalence in crossnational research. Annual Review of Sociology. 2014: 40. Inglehart R. Changing values among western publics from 1970 to 2006. West European Politics. 2008: 31. Khizrieva A.G., de Munck V.C., Bondarenko D.M. The Moscow School of quantitative crosscultural research. Cross-Cultural Research. 2003: 37 (5). Rokeach M. The Nature of Human Values. New York; 1973. Scheuch E.K. Society as context in cross-cultural comparisons. Social Science Information. 1967: 6 (7). Schwartz S.H. Universals in the content and structure of values: Theoretical advances and 20 countries. Advances in Experimental Social Psychology. Vol. 25. Ed. by M. Zanna. New York; 1992. Schwartz S.H., Melech G., Lehmann A., Burgess S., Harris M., Owens V. Extending the crosscultural validity of the theory of basic human values with a different method of measurement. Journal of Cross-Cultural Psychology. 2001: 32 (5). Copyright (c) 2018 Narbut N.P., Trotsuk I.V.